PLUMBWIZE installs beautiful new bathrooms. From the plumbing and fitting of baths, showers, toilets and basins, to fitting shelving units, laying flooring, painting, decorating and tiling. PLUMBWIZE provides a fully managed bathroom refurbishment service carrying out all aspects for a completely finished bathroom. FOR A FREE QUOTATION, CALL PLUMBWIZE ON 082 564 7129. We will carry out all the required plumbing, electrics, carpentry, tiling, flooring and decoration, to give you the bathroom you desire. We will work to any specification and budget, whether you are looking for a cutting edge modern finish, a luxurious traditional look or a simple clean refit. We have hundreds of ideas to suit any new bathroom or space available. We can create any design of your choice. We can use space from larger bedrooms to create en-suits, or just revamp an existing space with a brand new look. 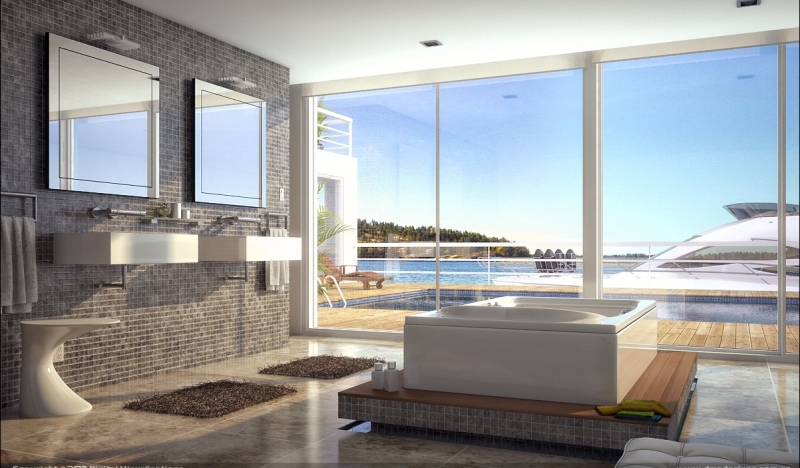 As with all our work, PLUMBWIZE provides a guarantee on bathroom installations. We guarantee our labour for 1 year and supply manufacturers warrantees on all the products we supply. With all our bathroom installations, we will meet you with an initial visit to your property to discuss your requirements and budget in detail. We will provide you with a free no obligation quotation with all the information before you decide to give us the job. We pride ourselves on coming in within budget and on time with every bathroom, with a minimum amount of disruption to the rest of the house. Our experience in bathrooms and knowledge of products on the market, also mean we can discuss different designs and products to suit your requirements and budget.